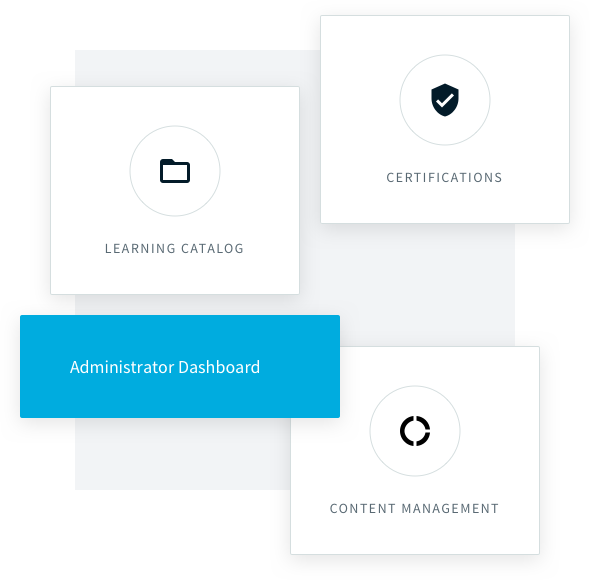 Administrators oversee the operational performance of a learning management system and assist in uploading content, creating and managing courses, and setting up unique learning paths for learners. TOPYX® eliminates the guesswork associated with these steps and streamlines the administrative processes inherent to an eLearning program. A TOPYX LMS offers administrators access to an intuitive console and assist with setup, customization and branding. TOPYX also provides organizations a detailed training plan and support team to help with installation and maintenance every step of the way. No IT or coding knowledge is required for system administrators. Easy-to-use dashboard - Access any administrative tool you might need with our intuitive dashboard. Import and export capabilities - Import, export, and process files quickly. Attach materials to categories - Tag materials, courses and programs to categories and easily filter. Control user sign in - Qualify and manage new users. We understand that administrator permission settings vary for different parts of a learning management system. One user might require a higher level of access compared to other employees. TOPYX provides different layers of roles and permission settings.